OPES Solutions has continued to secure its position as a leading manufacturer of off-grid solar modules, by creating a super light system of photovoltaics. 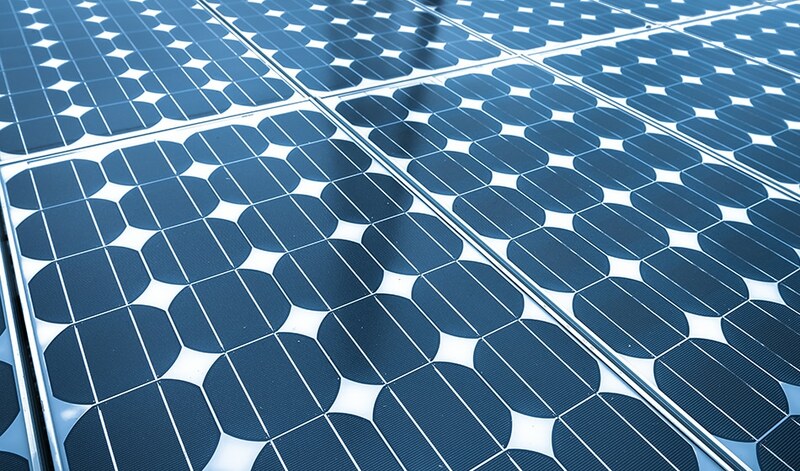 OPES Solutions worked with the Fraunhofer Center of Silicon Photovoltaics CSP, a joint initiative of the Fraunhofer Institute for Microstructure of Materials and Systems IMWS and the Fraunhofer Institute for Solar Energy Systems ISE, to create the new crystalline solar modules. The new O-Lite Plus modules which weigh in two-thirds lighter than the traditional models. Conventional crystalline photovoltaic modules weigh around 60 grams per watt, but the new O-Lite Plus systems manage an impressive improvement, at just 20 grams per watt. All this is achieved while keeping the price similar to conventional solar modules. But how is this seemingly impossible feat achieved? Thanks to the polyethylene terephthalate (PET) backside. This lightweight material is used by directly laminating the polycrystalline solar cells to it for a drop in weight. You may recognize the material as it is also used for rotor blades in the wind energy industry as well as the shipbuilding and automotive industries. Thanks to its high production volumes it can be very cost effective – hence allowing the new solar module to remain competitive in price. Robert Händel, founder and CEO of OPES Solutions says: “The material know-how and the many years of experience of our partner Gaugler & Lutz will benefit us here.” He refers to the ability of the polyethylene terephthalate to offer similar coefficients of heat and expansion as solar cells. The material is also very durable meaning the new O-Lite Plus solar modules should have a decent longevity. So why is all this of use? Most solar cells sit in fields or on houses where their weight isn’t a particularly problematic issue. It’s the application of solar cells in new locations and ways that will allow for the adaptation of energy management for a more environmentally friendly future. Since the O-Lite Plus solar modules are also flexible it’s possible to create curved solar cells. That, combined with their lightweight, means they can be applied to vehicles like cars, boats and even drones. This is where that durability of these new solar modules will also come in useful. As if all that didn’t make the panels appealing enough already, they’re modular too. That means, thanks to variants of junction boxes and connectors, the modules can be plugged together allowing them to be varied in size and shape to suit the needs of the user. Since this system was set up and tested by the Fraunhofer CSP in Halle, the testing has been able to cover connectivity and durability extensively. For the development of O-LitePlus, we have combined the R&D competence of the Fraunhofer CSP with our off-grid and production experience. It was only through this cooperation that we were able to develop the new ultra-light, durable and attractively priced generation of modules, which is now in demand among other things from vehicle manufacturers and bike sharing providers. As far as we know, the O-Lite Plus is the lightest module in the world.